Boutique hotel room at Wm. Mulherin's Sons in Fishtown. One of the most popular restaurants in Philadelphia is also a top-notch place to stay the night. Fishtown's Wm. Mulherin's Sons has been rated the best new hotel in the United States. In the spring of 2016, the former whiskey blending and bottling facility, a relic at Front and Master streets, was reborn as an upscale casual Italian restaurant tucked under SEPTA's El. Nearly two years later, it's one of the city's most in-demand reservations any night of the week, beloved for its cocktails, fireside dining and wood-fired grill. The building's renovation, led by Method Hospitality and Stokes Architecture, preserved the vintage character of the property while creating a cozy new atmosphere that feels like a vacation from the city the moment you step inside. A year after the restaurant opened, Philadelphia-based ROOST Apartment Hotel opened up a four-room boutique hotel on the building's second floor. For all the attention given to a booming hotel industry in Center City, Fishtown has quietly spent the last year as the least-suspected place to book a room. So much for that. The travel editors and readers at USAToday's 10Best have spoken and given the crown to Wm. Mulherin's Sons. An abandoned whiskey blending and bottling facility from 1890 has been repurposed into one of Philadelphia's newest properties, Wm. Mulherin's Sons. 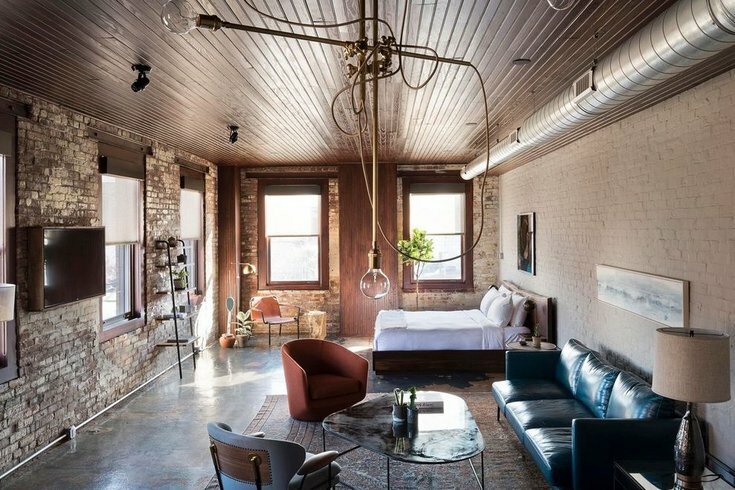 This boutique hotel features four rooms, each with king size beds, custom-crafted furniture, vintage rugs and living plants. The on-site restaurant serves rustic Italian wood-fired fare. This is the second straight year that a hotel from this area has been ranked tops in the country. Last year, 10Best gave the honor to The Asbury, a seaside hotel and social hub in Asbury Park.